A family statement said he died of natural causes at his home in Las Vegas on Sunday morning. 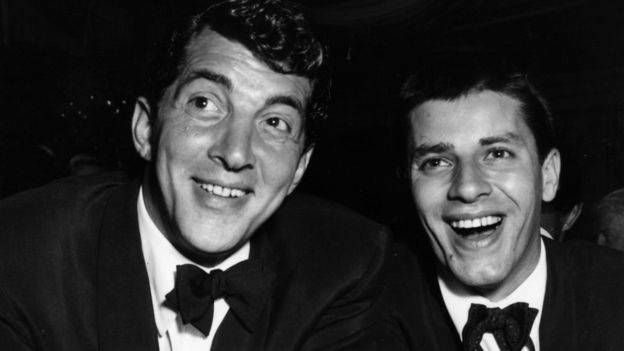 Lewis's 10-year partnership with Dean Martin saw them star in 16 films and achieve huge box office success. Fellow celebrities paid tribute as news of his death broke. Whoopi Goldberg called it "a gain for heaven, but big loss for comedy". Star Trek actor William Shatner tweeted that the world was "a lot less funnier today". Actor Jim Carrey, whose comedy style was strongly influenced by Jerry Lewis, said: "That fool was no dummy. 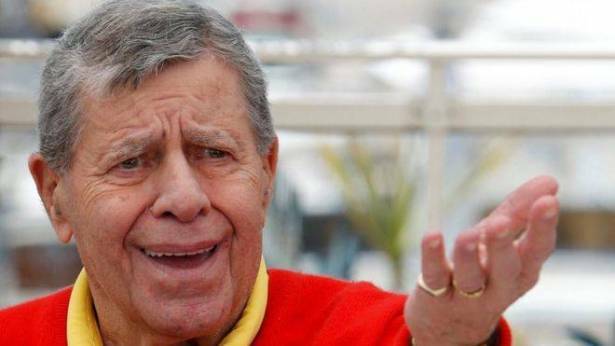 Jerry Lewis was an undeniable genius an unfathomable blessing, comedy's absolute. I am because he was!" There were also tributes from the daughters of Lewis's longtime associates Frank Sinatra and Dean Martin. "Dear Jerry, Dad will be as happy to see you as I'm sad to see you go. Give him one of your bear hugs for me. I'll always love you," tweeted Nancy Sinatra. Deana Martin also wrote on Twitter: "I'm heartbroken at the loss of our life-long friend (Uncle) Jerry Lewis. I've loved him all my life and will miss him greatly." The White House later released a statement praising "the extraordinary life of one of our greatest entertainers", adding that Lewis "touched the lives of millions". "Jerry lived the American Dream - he truly loved his country, and his country loved him back," Press Secretary Sarah Huckabee Sanders said in a statement posted on Twitter. Lewis was born Joseph Levitch in Newark, New Jersey, to Russian-Jewish parents who were both in showbusiness. Lewis teamed up with Dean Martin in the late 1940s, acting the goofy sidekick to Martin's suave persona. Over the next 10 years they appeared in nightclubs, on television and in movies, but their partnership ended with a bitter split. Lewis was also the host of a long-running telethon which raised many millions of dollars for muscular dystrophy. In 1995, he became the highest-paid star in Broadway history as Mr Applegate in the musical Damn Yankees. He also won acclaim as a writer. In his later years, however, he courted controversy with racist and misogynistic jokes, and in 2007 he was forced to apologise after making an anti-gay slur during a telethon. In an interview, Lewis once said the key to his success had been in maintaining a certain child-like quality, but added: "I've had great success being a total idiot." "I look at the world through a child's eyes because I'm nine," he told Reuters in 2002. "I stayed that way. I made a career out of it. It's a wonderful place to be." Lewis also achieved great popularity in France where he was hailed as "le Roi du Crazy" ("the King of Crazy"). He was inducted into the Legion of Honour, France's highest award, in 1984.